Less than one percent of Maine's coastline offers guaranteed public access. It's a near-historic low that the Maine Coast Heritage Trust wants to reverse. Wednesday the organization announced a $125 million fundraising campaign to expand ocean waterfront access and protect it from development pressure and climate change. Supporters say the goal is to stitch back together the shreds of a tapestry that has already started to unravel. 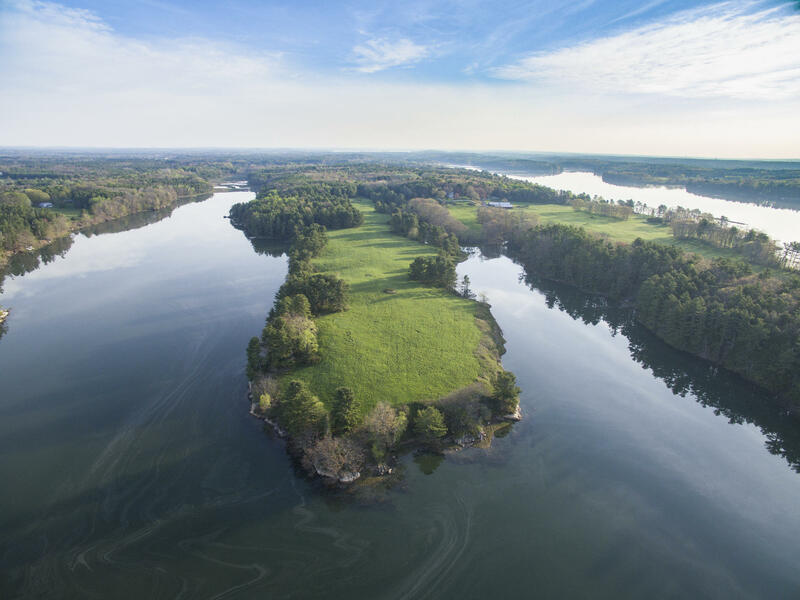 Judy Marsh grew up exploring islands in Casco Bay. It started in 1946, when her dad opened Paul’s Marina in Brunswick, which she now runs. Marsh says public access to these islands is a part of Maine's heritage. But, it’s in danger. "As I've gotten older, there's more and more property on the islands that have become private property with lots of 'keep out' signs, 'this is a private island,'” says Marsh. It’s not just happening in Brunswick, says Tim Glidden, the executive director of the Maine Coast Heritage Trust. It stretches along the entire coastline, where he says only a very small fraction is open to the public — for both recreational and commercial users, like fishermen and clammers. "On a 3500 mile coast, you know, one percent — we're getting down to some pretty small numbers,” Glidden says. “And we need to pay attention to that if we're to maintain the quality of life and livelihoods — the actual livelihoods of many of those folks." That's why the Maine Coast Heritage Trust is undertaking what it says is the largest coastal conservation campaign in state history. Large in terms of the money — $125 million dollars — but more importantly, says Glidden, in its impact. "We would like to have guarantee of access to the water in every coastal community," Glidden says. Work to achieve that goal is already underway. The Coastal Conservation Campaign has quietly operated for several years and has brought in $100 million. The Maine Coast Heritage Trust has taken on more than 100 projects and added trails and preserves in 45 coastal towns. But the organization still has $25 million left to raise by the end of next year to secure projects that are in the works. One of those projects is Woodward Point in Brunswick. "It's one of the last remaining pieces of coastal property, you know, undivided property,” says Jaki Ellis. Ellis and her husband Andy Cook own Woodward Point. 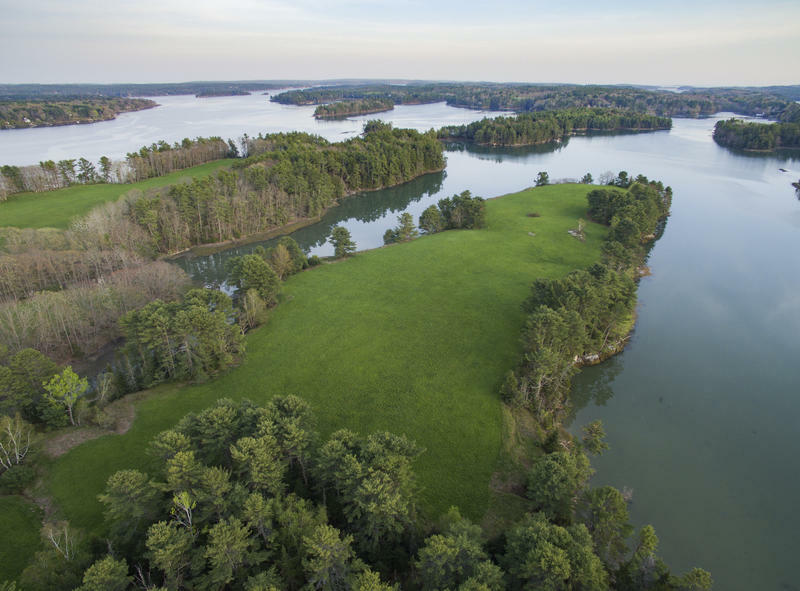 It's a saltwater farm, and though they couldn't find a farmer to buy it when they decided to retire, Ellis says they still wanted to find a way to protect the 80-acre parcel from development. The conservation campaign is in the midst of raising $3.5 million for that property. Further south, says Doreen McGillis of the York Land Trust, the campaign has already protected four properties in the York River watershed. "Which is an area of statewide ecological significance,” says McGillis. “And it's also being considered for a federal wild and scenic river designation. So it's a very important area." York county is an area that faces intense development pressure, and it's also home to the largest marshes in the state. Glidden says protecting marshes are a focus of the campaign to meet another goal: to build resilience against the effects of climate change. Marshes can help because they clean air and water. They also protect towns from storm surges. 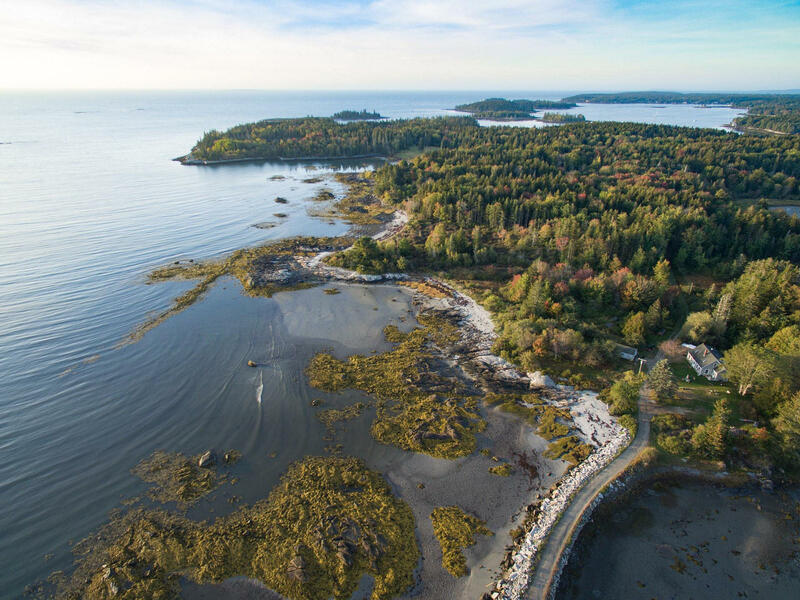 Between marshes, peninsulas and islands, Glidden says, the ultimate goal is to ensure the best of Maine's coastlines are available to all everyone.